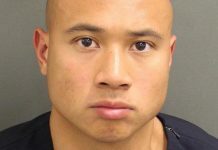 A UCF student pulled a handgun and fought off burglars that forced their way into her Village of Alafaya Club apartment on Tuesday, according to deputies. At approximately 4:51 p.m. Tuesday night, two black males in their early 20’s forced their way into the apartment of two UCF students, male and female, according to the Orange County Sheriff’s Office. According to deputies, one of the suspects held a handgun to the male victim’s head and ordered him to the ground. The female victim then ran into her bedroom and got her handgun. 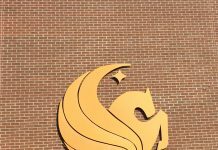 The female UCF student then pointed the gun at the suspects. That caused both the suspects to run away and for one suspect to drop his gun, according to deputies. It turned out the suspect’s handgun was actually a pellet gun, according to deputies. A perimeter search involving a K-9 unit and air search did not locate the suspects, according to authorities.